1) Are drives such as harddrive and floppy drives represented with drive letters? 2) How do you change permissions under Linux? 3) In Linux, what names are assigned to the different serial ports? Serial ports are identified as /dev/ttyS0 to /dev/ttyS7. These are the equivalent names of COM1 to COM8 in Windows. 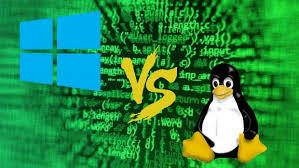 4) How do you access partitions under Linux? Linux assigns numbers at the end of the drive identifier. For example, if the first IDE hard drive had three primary partitions, they would be named/numbered, /dev/hda1, /dev/hda2 and /dev/hda3. 5) What are hard links? Hard links point directly to the physical file on disk, and not on the path name. This means that if you rename or move the original file, the link will not break, since the link is for the file itself, not the path where the file is located. 6) What is the maximum length for a filename under Linux? Any filename can have a maximum of 255 characters. This limit does not include the path name, so therefore the entire pathname and filename could well exceed 255 characters. 7)What are filenames that are preceded by a dot? 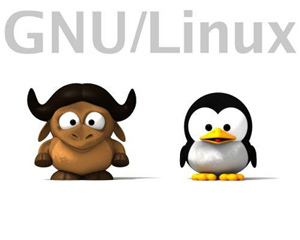 9) How do you share a program across different virtual desktops under Linux? To share a program across different virtual desktops, in the upper left-hand corner of a program window look for an icon that looks like a pushpin. Pressing this button will “pin” that application in place, making it appear in all virtual desktops, in the same position onscreen. 10) What does a nameless (empty) directory represent?